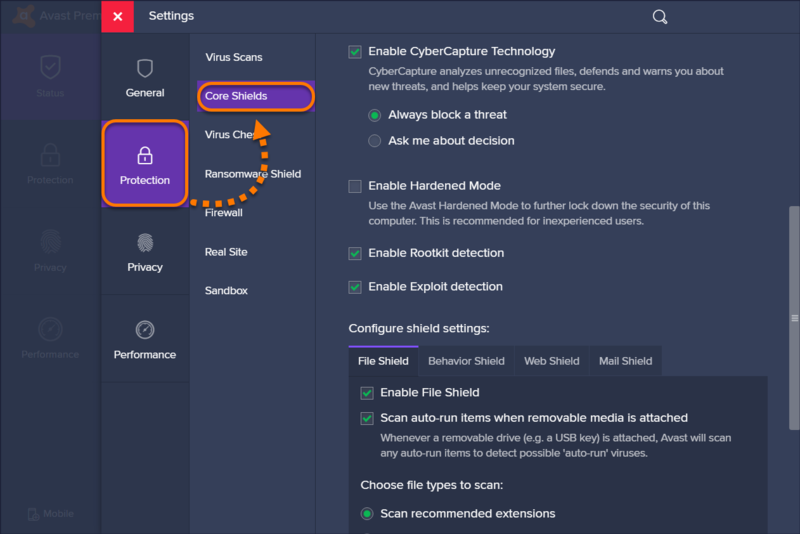 CyberCapture is a feature of Avast Antivirus that detects and analyzes rare, suspicious files. 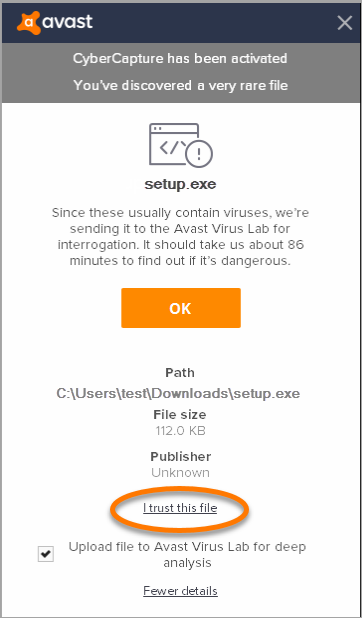 If you attempt to run such a file, CyberCapture locks the file from your PC and sends it to the Avast Threat Labs where it is analyzed in a safe, virtual environment. By default, CyberCapture is enabled to block all unrecognized files to provide maximum protection. We highly recommend keeping the default settings. However, if you would like to have more control over CyberCapture's behavior, refer to the sections in this article for instructions. 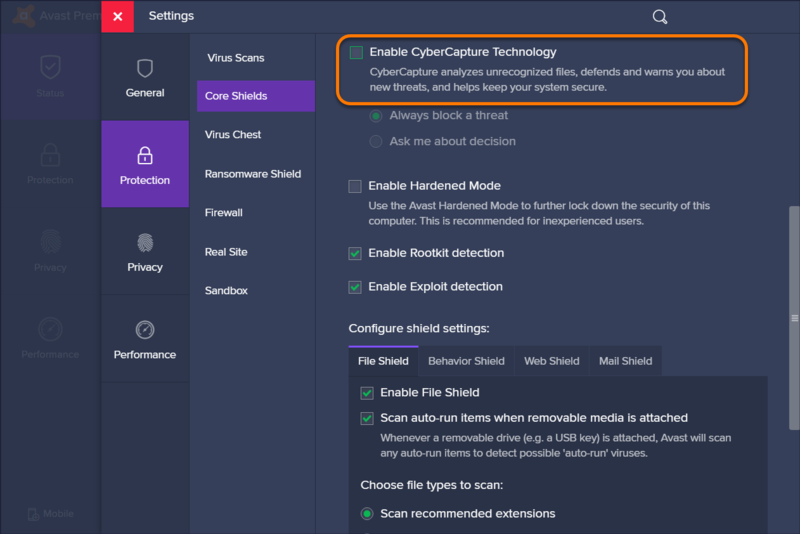 CyberCapture automatically blocks and denies access to a detected file until Avast Threat Labs complete an analysis of the file. However, you can mark a file as trusted which alerts Avast Threat Labs. When a file is detected, click More details. Click I trust this file in the next dialog. 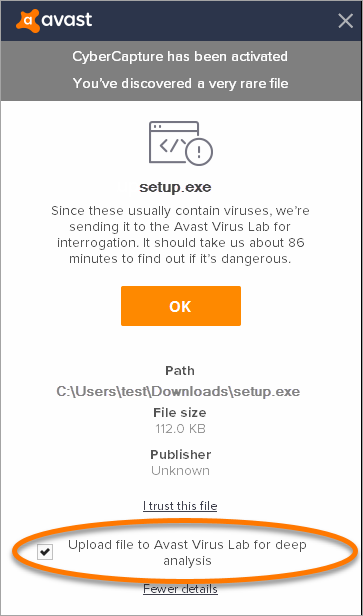 A notification confirming that you submitted your opinion to Avast Threat Labs appears. You can click Settings if you want to change the default behavior of CyberCapture. Once Avast Threat Labs have analyzed the file, a notification about the security status of the file is displayed. If you want to have control over detected files, you can set CyberCapture to allow you to decide if a detected file can be run. 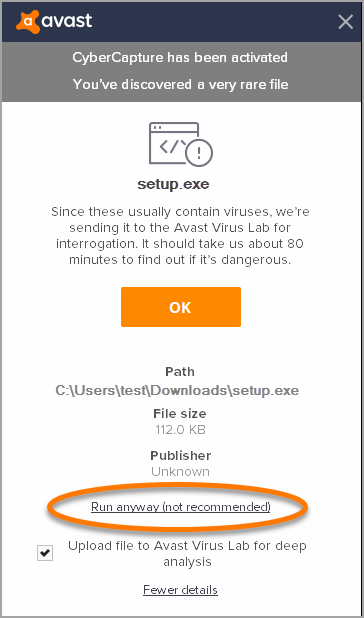 A detected file is always analyzed in Avast Threat Labs, but this option allows you to use the file during the analysis. 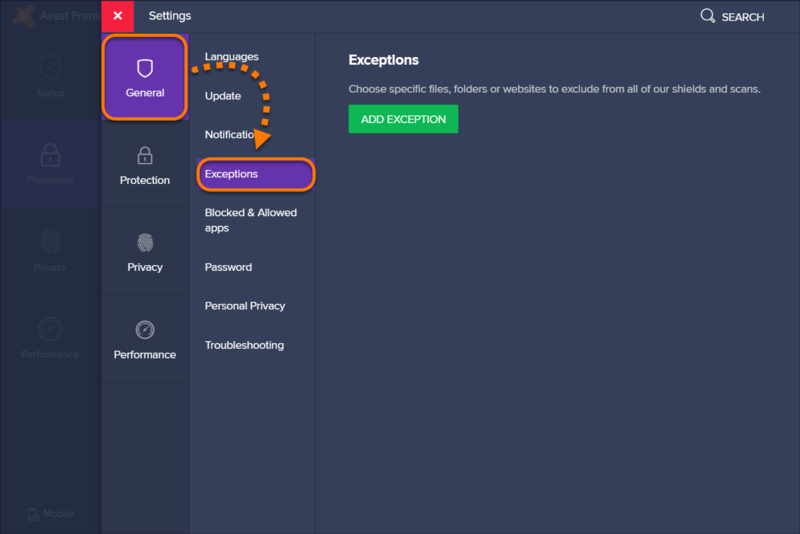 Open the Avast user interface and click ☰ Menu ▸ Settings. Select the Protection tile from the left menu, and click Core Shields. Scroll to Enable CyberCapture Technology and tick the Ask me about decision option. 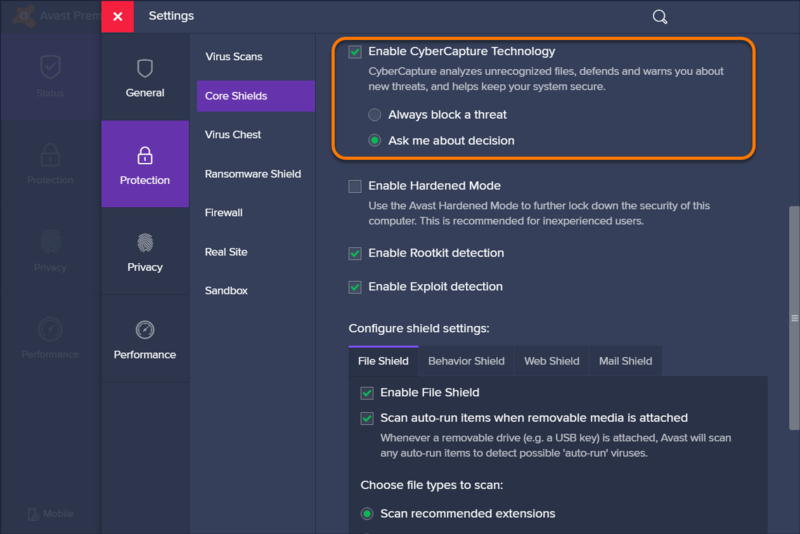 Once the Ask me about decision option is enabled in CyberCapture settings, you can decide what action should be taken every time a file is detected. When the CyberCapture dialog appears, click More details. Click Run anyway (not recommended). If you are sure that the file is safe you can untick Upload file to Avast Virus Lab for deep analysis. The detected program or file opens. Once the analysis is finished, a notification about the security status of the file is displayed. If the Virus Threat Lab analysis shows that the file is malicious, the file will be automatically locked in the Virus Chest. We recommend running a scan to make sure the file didn't cause any damage. 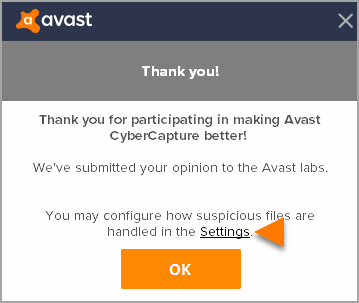 We do not recommend preventing CyberCapture from sending detected files to Avast Threat Labs for analysis, but for specific purposes this option is available. This option works regardless of CyberCapture settings. 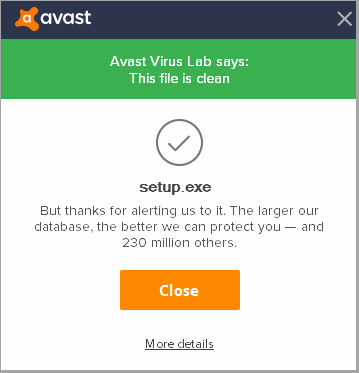 Untick the Upload file to Avast Virus Lab for deep analysis option and click OK to confirm. 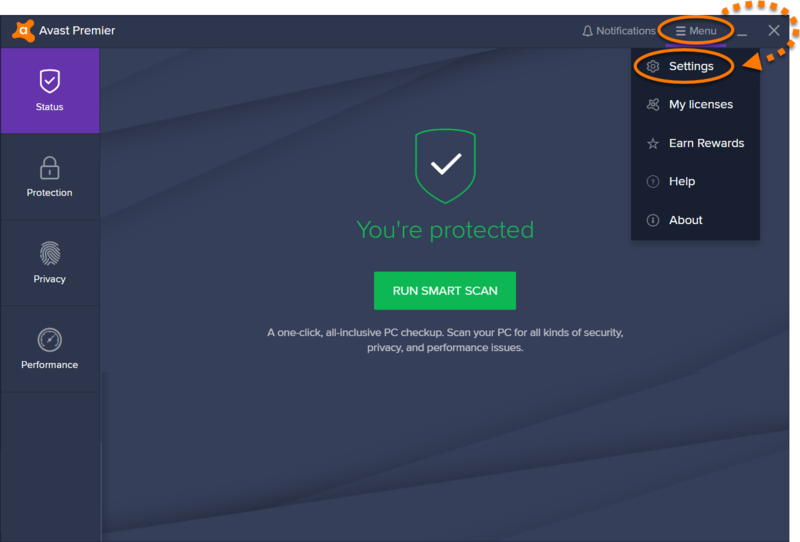 The detected file is not sent to Avast Threat Labs and a notification about the security status of the file will not be displayed. We recommend using extreme caution with a file that has not been sent to Avast Threat Labs. We do not recommend excluding files from any scan to ensure optimal protection for your PC. However, this option is available if you need to exclude a file temporarily for troubleshooting purposes. You can exclude certain files temporarily from all scans, shields, and CyberCapture at once. Click the General tile from the left menu then click Exceptions. Click the Add Exception button. 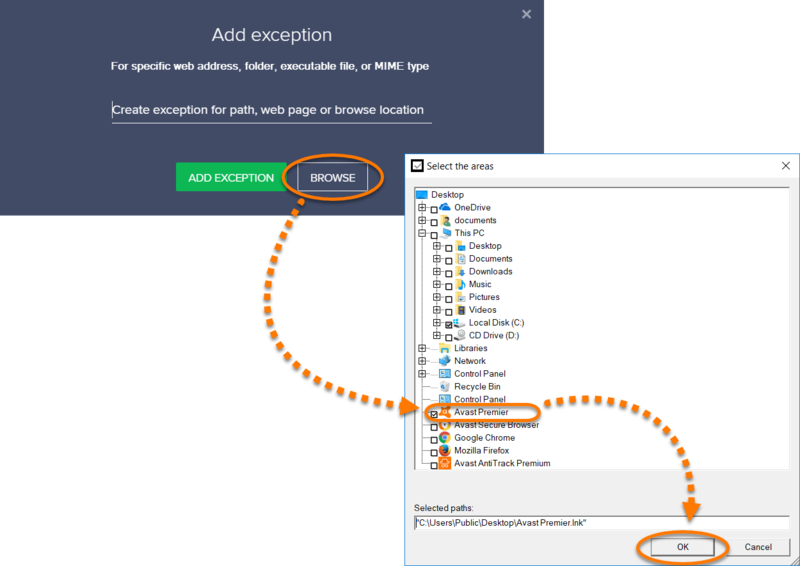 Type the file path, folder path, or URL into the text box, then click Add Exception. Click Browse, tick the box next to the file or folder you want to add to the exceptions list, then click OK.
Once the exception is set, the file is ignored during CyberCapture scanning. We do not recommend disabling CyberCapture. However, this option is available for temporary troubleshooting purposes. Untick the box next to Enable CyberCapture Technology. CyberCapture is now disabled. To enable it, go to ☰ Menu ▸ Settings ▸ Protection ▸ Core Shields and tick Enable CyberCapture Technology.